The Meridian team will help you to create iOS and Android apps that provide your visitors turn-by-turn directions, location and time-based push notifications, and other location-based services. 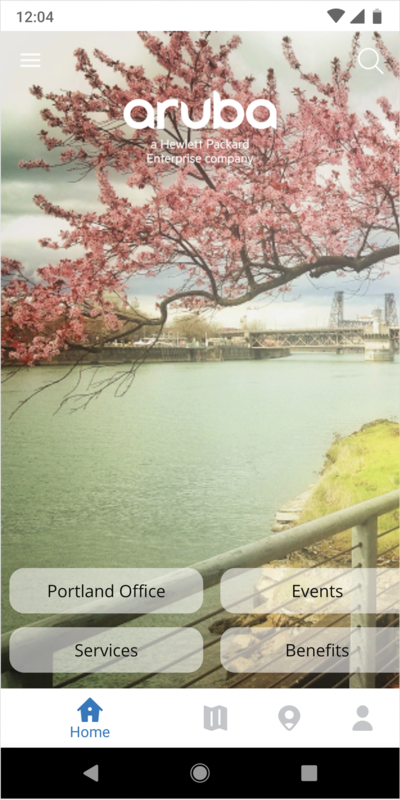 The Meridian Editor is a content management system (CMS) that lets you customize the maps, placemarks, themes, and other features of your Meridian-powered app. AppMaker is the collection of features within the Editor that let you customize your Meridian-powered app. 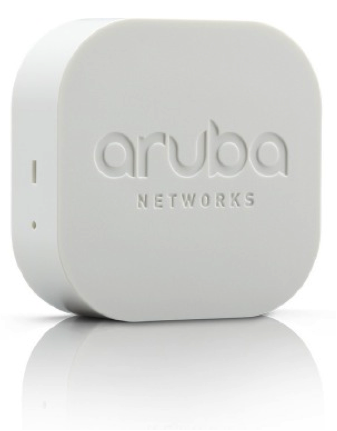 Aruba Beacons are small, lightweight Bluetooth devices that create the You Are Here blue dot for real-time locations and directions. They also provide the infrastructure for sending time and location-based push notifications to your visitors using your Meridian-powered app. 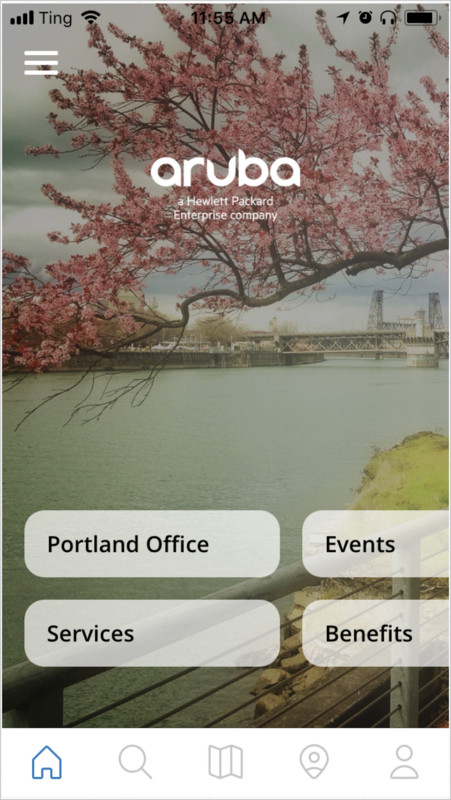 Beacons are deployed and managed using the iOS Aruba Beacons app. Learn more about Aruba Beacons. Meridian-powered apps are iOS and Android apps that use Meridian AppMaker. 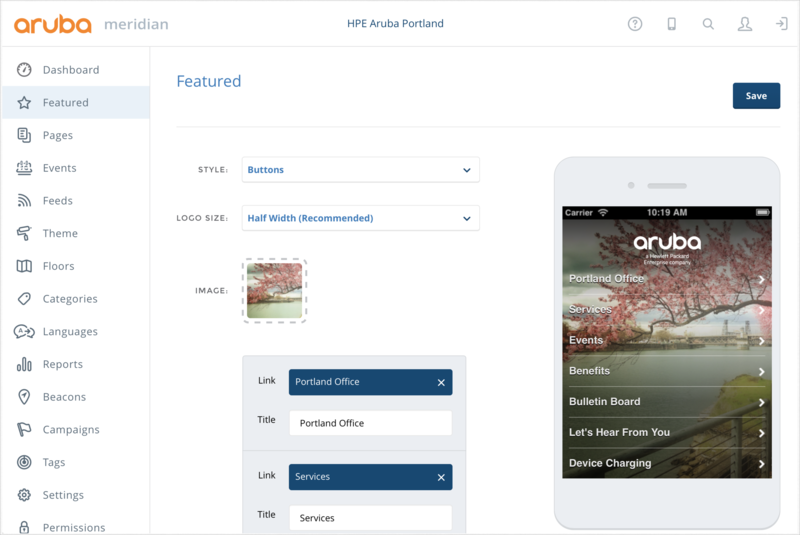 Our developers and graphic designers can create and publish Meridian-powered apps for you through our white-label Meridian app service. For more robust customization, you can use the iOS and Android Meridian SDKs to build a Meridian-powered app from scratch. Learn more about the iOS and Android Meridian SDKs. Meridian-powered apps support the iOS and Android accessibility features VoiceOver and Talkback. Using Aruba Tags hardware, you can track assets in and out of a location in close to real-time. Learn more about asset tracking here.